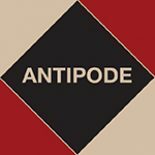 Today we’re pleased to present the latest video abstract from our November 2016 issue (Antipode volume 48, number 5–links below). In quite a hard-hitting presentation, Bucknell University Associate Provost Karen Morin introduces her brilliant research exploring resonances across human and nonhuman carceral geographies. Her Antipode paper, “Carceral Space: Prisoners and Animals”, which is currently free to download, illustrates the close linkages across prisoner and animal carcerality and captivity by focusing on three types of sites and institutions: the prison execution chamber and the animal slaughterhouse; sites of laboratory testing of pharmaceutical and other products on incarcerated humans and captive animals; and sites and institutions of exploited prisoner and animal labor. Karen argues that the main themes that call for a “carceral comparison” among these sites include: the emotional and psychological strain and violence enacted on bodies that is interwoven into their day-to-day operations; their geographies (locations, design and layout) and carefully regulated movements within them; relationships between carcerality and “purpose breeding” that extends across both nonhuman and human populations; the ways in which “animalization” of incarcerated bodies works to create conditions for social death and killability; and the legal and political contexts that produce certain lives as disposable “bare lives”. As we said, it’s a hard-hitting piece–you have been warned! Strategizing for Autonomy: Whither Durability and Progressiveness? This entry was posted on 24 August 2016 by Antipode Editorial Office in Video Abstracts and tagged agriculture, animal geographies, animal rights movement, animalization, animals, bare life, capital punishment, carceral geography, critical animal geography, critical carceral geographies, disposability, incarceration, killability, nonhuman geographies, pharmaceutical industry, prison labour, prisoners, prisons, social death, violence.